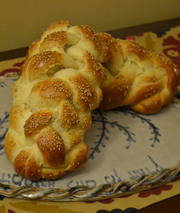 I'm pretty excited about this challah. It's a start on a venture I've been really looking forward to which is really tweaking with recipes as opposed to just doing delicious add-ins (which I love... and I have a few great ones planned for the next few weeks!). Sprouted wheat is the best way to access the grain’s nutritional benefits. As the wheat berry grows, vitamins are formed that greatly enhance the nutrition and digestibility of the wheat. Sprouted berries are dried, then ground into flour. I was surprised that it's not actually a KAF product. The flour comes from Lindley Mills, an organic speciality flour mill located in piedmont North Carolina at the site of the 1755 water mill built by Pennsylvania Quaker and settler Thomas Lindley. In a small sauce pan, mix together the milk and 1 1/2 tbsp honey. Warm to about 100 degrees, stirring constantly, until the the honey has dissolved. When I proof yeast in water, I just turn my hot water faucet on for a bit and use water right out of the faucet, so the 100 degree thing is really a guess... 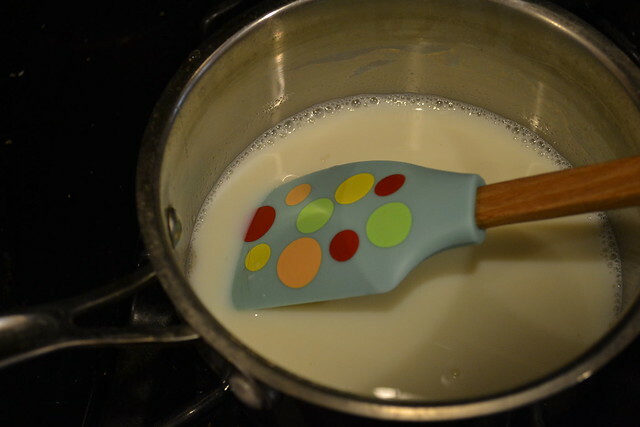 I just stick my finger in it to check if it is hot enough and that's what I did with the milk. Add the yeast, stir gently, and let rest for about 10 minutes or until foamy. Proceed as normal. Add the eggs and oil and mix with a wooden spoon or spatula. I usually just dump the flourin next and then sprinkle in the salt. Coincidentally, I recently learned (the hard way) that salt kills yeast. The purists will tell you to premix the salt and flour together. But, I just dump the flour in a put little spoonfuls of salt on top. During the mixing process, I added a healthy additional squeeze from the honey bottle. Add a little bread flour and/or water as needed and knead with stand mixer or by hand until a ball forms. Have no fear if it's a heavy, heavy dough. Mine was, and my experience is that most whole wheats are. Don't worry, the end result is worth it! Let dough rest in an oiled bowl (covered) until doubled in bulk, about 1 1/2 hours. You can punch down and let rise again or skip it. I usually don't. Braid as normal. 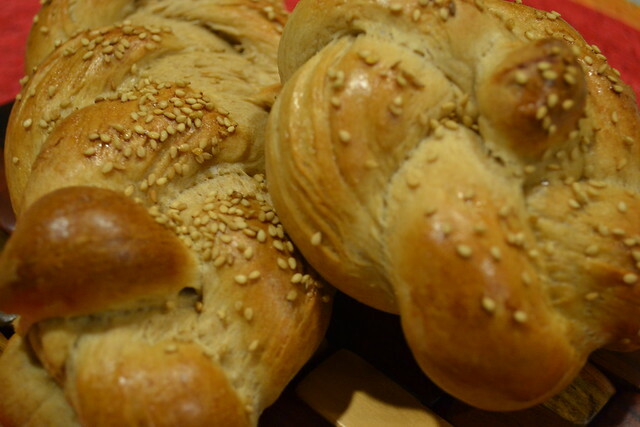 Since this dough isn't very stretchy, I just did a 3-strand braid and some little rolls. Let rest additional 3 minutes. Egg wash and drizzle with honey and your favorite toppings such as sesame or poppy seeds. Bake at 350 for 25-30 minutes. What a wonderful blog! 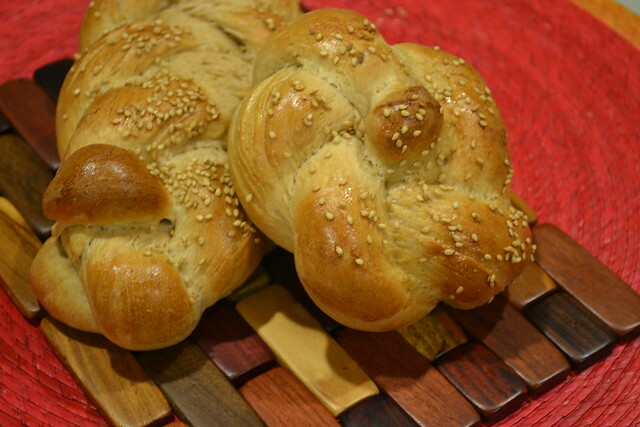 I just discovered it on a google search for pumpkin challah (perfect for Thanksgiving, right?). I'll be back!